Attackers involved in two linked stabbings in neighbouring Sheffield suburbs within the space of 10 minutes are still being hunted by the police this morning. Two men were stabbed in incidents outside convenience stores in Swallownest and Aston on Sunday night, with detectives linking both attacks. 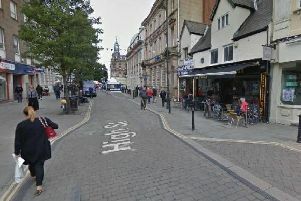 In the first stabbing an 18-year-old man was suffered slash wounds to his hands and leg when he was attacked outside Del's on High Street, Swallownest, at around 8.05pm. Ten minutes later a 21-year-old man was stabbed in his arm and ribs in an attack on the car park close to McColl’s on Worksop Road, Aston. Both victims were taken to hospital for treatment. Witnesses or anyone with information should call South Yorkshire Police on 101 and quote incident 886 of September 23 or Crimestoppers, anonymously, on 0800 555 111.